Organisers of the inaugural Gloucester Folk Trail have released their much-anticipated line up for a weekend of free live music in the city. Gloucester pubs, bars and cafes will play host to the county’s finest folk musicians from Friday 23 to Sunday 25 February. The venues will throng with gig-goers as more than forty live performances take place across the city ranging from traditional folk acts and Morris dancers to thoroughly modern folk rock. The Gloucester Folk Trail is one of the first events to be delivered by the Gloucester Business Improvement District with the aim of supporting the city’s night time economy. This thoroughly modern folk-rock band from Gloucestershire have graced the stages at the Phoenix Festival, Wychwood and Birmingham Jazz and Blues Festival. The band’s sound with a mix of folk, rock and country, has earned rave reviews from BBC Radio Gloucestershire’s Johnny Coppin, the Gloucestershire Echo and SoGlos. A super group featuring top Gloucestershire Bluesmen Rick Edwards and Mark Cole from Sons of the Delta, along with another favourite of the Gloucester Rhythm and Blues Festival, Keith Thompson. They are joined in this folk-roots project by vocalist and ukulele star, Sarah Kelly, and drummer, Martin Fitzgibbon. A rip-roaring, foot stomping band are infamous in the pubs and beer festivals Gloucestershire for their sing-along traditional Irish songs and fast-paced jigs and reels to get you up on the dance floor. The wonderfully eccentric Way Out West bring their folk non-sensibilities to world of pop. On accordions, fiddle, guitar, banjo and ukulele, the hilarious three-piece help us discover the country roots of the Pet Shop Boys, the folk origins of the Spice Girls and The Smiths and what the Pussycat Dolls sounded like when Julie Andrews was still in the line-up. Life O’Reilly grew out of the live Irish music sessions held in and around Gloucestershire. Their mixture of guitar, fiddle, bodhran, tin whistles and stunning vocals recreate the much-loved feel of Irish folk music and their live performances show off their love and passion for the songs and tunes of the Irish tradition. Concertgoers are also invited to the Gloucester Folk Trail Preview Night on Thursday 22 February with a gig at TANK and an Open Mic event at The Old Bell. For more information visit https://www.glosucesterfolktrail.com or search for ‘Gloucester Folk Trail 2018’ on Facebook. Former England and Gloucestershire cricketer turned artist, Jack Russell MBE, will be one of the star attractions at this year’s WSP Art in the City on Saturday 14 and Sunday 15 July. Jack will be painting at the event and showcasing his work in Gloucester city centre. Jack is no stranger to Gloucester, having played cricket for the county at Archdeacon Meadow. Plein Air – Live outdoor painting on Saturday 14 July. Open Art – An open contest for artwork completed in the last year based on a theme. Artists dotted around the city centre will be competing to best capture the spirit of Gloucester and its community, in an attempt to impress the judging panel which includes P.J. Crook, Richard Parker Crook, Stroud-based Swarez and Gloucester’s very own Russell Haines. For more information or interviews with Jack Russell and Russell Haines please contact Ben Hau at ben@marketinggloucester.co.uk. 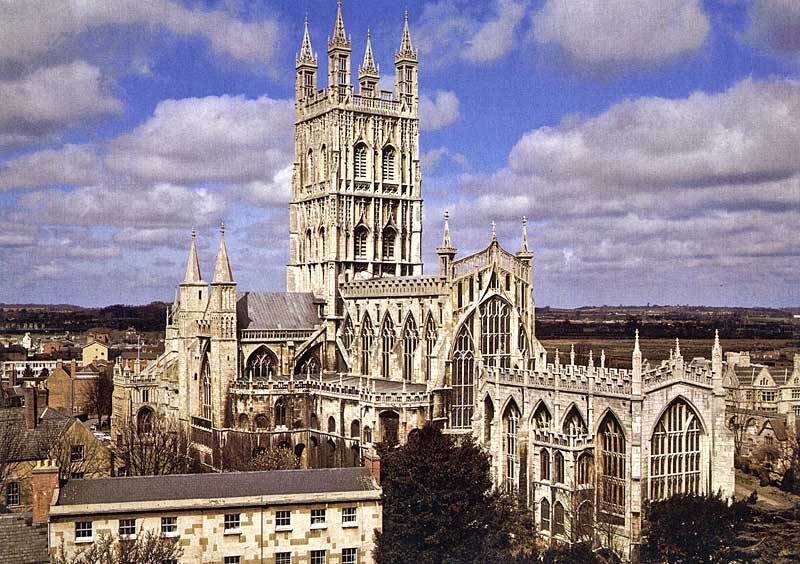 Latest provisional data from independent research organisation The South West Research Company Ltd shows the extraordinary success Gloucester has had in attracting tourists to the city since 2013 with the Cathedral city overtaking Cheltenham in 2015. As we all know (or should know), travelers rely on reviews when they’re planning trips, and TripAdvisor is the biggest review platform in travel. According to TripAdvisor, 83% of all travelers claim that TripAdvisor reviews make them more confident in their travel decisions. Make sure you are registered as the owner of your listing. You wouldn’t leave the doors to your company unlocked would you? Don’t let your listing go unclaimed or worse yet, claimed by a competitor. 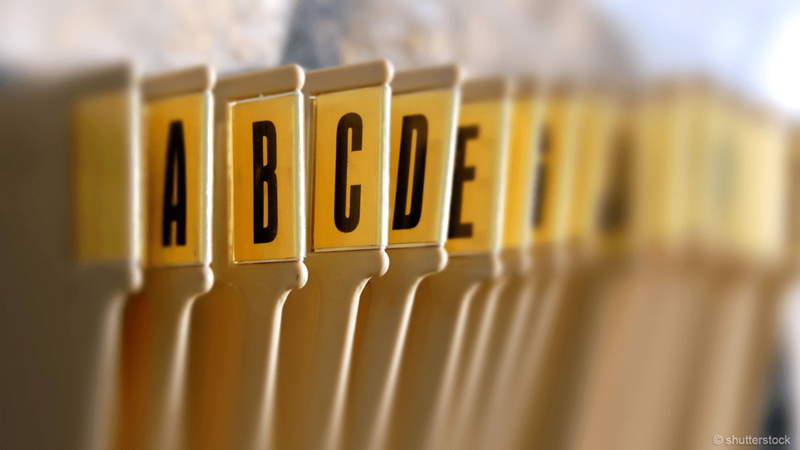 Double check that your company’s name, address, phone number are correct and up-to-date. Make sure that your company is listed under the appropriate category. 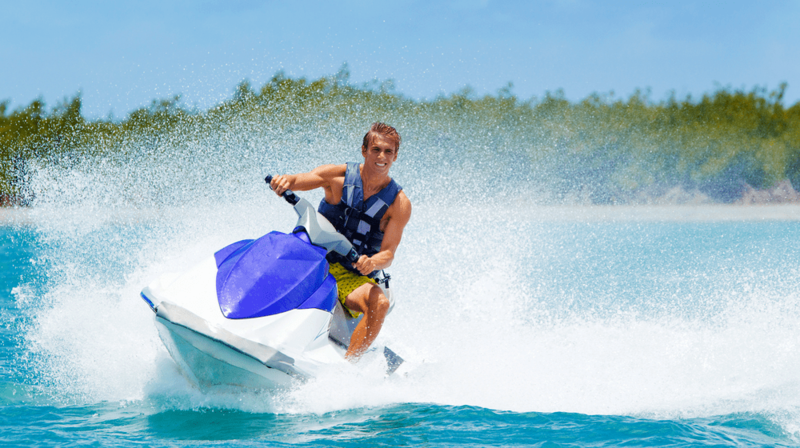 Are you an attraction, activity, sports tour, adventure tour, sightseeing tour or rental business? TripAdvisor has massively improved the categorization of “Things to do”: if you have an old profile, make sure you are taking advantage of the new detailed categories. As often happens, your company’s description might have been originally uploaded by a traveler. Invest some time into writing a short, rich description of what you offer to help you stand out from your competition. It is often helpful to include additional information like opening times, seasonal activities or age restrictions. You only get one chance to make a first impression. Make sure you make a good one by uploading your best photos and videos to your listing. Great images and videos give travelers an idea of what to expect when they come on a trip with you, and early expectation management is an easy way to make sure you get great reviews after the trip. The more high-quality photos on your listing, the easier it will be to engage people. TripAdvisor reports that listings with 30 or more photos get 41% more traveler engagement than listings with less than 10. Make sure that your company is listed in the correct location on the map. This helps travelers find you quickly and ensures that you appear correctly under the “Near me now” search function on mobile devices. If your company is not located on the map, or is displayed in the wrong location, you can update it from your Management Center. A great way to increase your bookings is to openly display your customer reviews on your website. Showing your reviews inspires trust in travelers and lets them know that you’re a quality, professional company standing behind the tours and activities you offer. TripAdvisor offers a multitude of tools to do this, but the best way to display your TripAdvisor reviews is to connect your profile directly with your TrekkSoft Account. Make sure you send a post trip email to all of your guests thanking them for joining you on a trip, telling them that their feedback is important, and asking them to please review your company on TripAdvisor. TrekkSoft makes it easy for you to automate this process using the post trip email feature. Once activated, TrekkSoft will automatically send an email to each passenger after their trip. The default text for post trip emails is the text recommended by TripAdvisor. You have the ability to edit and customize this email to best suit your company’s needs. Tip: Ask your guests to contact you directly if they had any problems or were not satisfied with their experience. This will allow you to turn a potential negative review into a positive one. For most companies, more guests = more trips = more work for the guides. Make sure your team of guides understands that customer reviews have a direct impact on the amount of work they get. Train your guides to mention to customers that they would appreciate feedback in the form of reviews on TripAdvisor. Make sure to discuss reviews as a team, acknowledge good reviews, and use negative reviews as a tool for improvement. Make sure you or someone in your company is responsible for responding to every review as quickly as possible. Management responses are a great opportunity to continue a conversation with past guests and ensure their loyalty to your company. Responding to reviews shows prospective travelers that you care about your guests, and it will have a direct impact on increasing your bookings. TripAdvisor offers some pretty good guidelines for composing your responses, but in general you should: keep it professional and polite, address the issues, correct any misstatements, and don’t be defensive or aggressive. If you feel that a review is fake, violates TripAdvisors review policy or if you are being blackmailed by a guest, report it to TripAdvisor immediately. Their team will review your case, and if it is valid, remove the review in question. TripAdvisor takes blackmail reviews very seriously, and does their best to protect companies from being extorted by guests. Like all things in social media and user generated content, your TripAdvisor listing is something that needs to be managed, nurtured, and grown over time. A well managed listing needs constant attention. Strive to continually increase your reviews over time, and always make sure that your most recent 10 reviews have management responses. Posting fake reviews, rewarding your guests for positive reviews, using organized boosting techniques, or posting fake reviews on your competitors sites are all actions that will jeopardize your listing on TripAdvisor. Being banned from TripAdvisor is right up there with having your website blacklisted by Google. Beyond the risk, most travelers are adept at spotting frauds or content that is not genuine. If travelers get the impression you are cheating on TripAdvisor, it is going to hurt your reputation and do more damage than good. Research on the composition of the board of directors of DMOs as well as the governance of DMOs is of particular interest for destination management, because it helps understand the context of community-type tourist destinations. There is an increasing body of research on the composition and roles of DMO boards of directors as well as the duties and tasks of those individuals. However, to date, no study has addressed their influence on the financial revenues of the organization. A DMO’s budget is not God-given but evolves along with the development of the organizations and the institutions in the destinations. Thus, we investigate to what extent directors on the boards affect the amount from different revenue sources. Using data from 44 Swiss local and regional DMOs, we perform seven distinct multiple regressions with the following revenue sources as dependent variables: (1) membership fees, (2) partnership platforms/initiatives, (3) commercial revenues, (4) overnight taxes, (5) regional and state subsidies, (6) municipal subsidies, and (7) tourism taxes. Four independent variables (1) stakeholders, (2) public agents, (3) leaders, and (4) networkers, positively and negatively affect the revenue sources. The results reveal two contrasting roles: while leaders and networkers likely increase the revenue sources, stakeholder representatives and public agents negatively affect the revenue sources. Additionally, the latter two functions strongly increase the size of the DMOs’ boards. We conclude with a new perspective on how to understand DMO boards, their functions, and finally the organizations themselves. In community-type destinations, the Destination Management Organization (DMO) plays an important role as a focal institution (Ritchie & Crouch, 2003) and deserves a distinct research focus. Today, we know various types of DMOs at different levels (local, regional, and national, with the latter ones typically oriented more towards marketing), with different sizes, and fulfilling various functions (Pearce, 1992, Pike, 2004 and WTO, 2004). One research stream has focused on the DMO board of directors, because the multiplicity of stakeholders and actors in the destination and the complexity of the supply system require that particular attention be paid to the corporate governance of the organization. As a matter of fact, DMO boards may consider a multitude of interests, various competencies due to the numerous activities, or a particular system of governance that reflects the implicit governance in the destination. To date, research on DMO boards of directors has focused on board composition and roles and their relation to the activities of the organization. There is quite a rich research stream that addresses the composition and size as well as the profiles of boards of directors, and particularly the roles of those individuals, as a result of the type of DMO, its tasks, or its functions (Ford et al., 2011, Garnes and Grønhaug, 2011, Lathrop, 2005, Palmer, 1998 and Palmer, 2002). Yet, we still do not know if and how board composition and individual profiles relate to the organization’s resources, assets, or even to its performance. The abovementioned extant literature refers to board composition as a result of stakeholder representation, suggesting that the board is a reflection of the multitude of the individuals and institutions in the destination. Actually, the state-of-the-art literature discusses DMO boards as a group of representatives who serve the wider interests of the destination and those of their stakeholder groups. Yet, management literature clearly points to the fact that shareholders as owners and investors are represented on the companies’ board (Baysinger and Butler, 1985, Baysinger and Hoskisson, 1990 and Van den Berghe and Levrau, 2004), pointing to the evident link between capital and revenue and the composition of the board. Does this insight hold true for non-profit organizations such as DMOs? With this research paper, we propose an alternative view, a different explanation of DMO board composition and the reason why some personalities are present in those company organs. Resource dependence theory (Pfeffer & Salancik, 1978) helps describe the effects of incorporating particular individuals on DMO boards on the sources and mechanisms of revenue in the mid to long-term. In the end, DMO revenues cannot be taken as given, but are the result of economic mechanisms and political bargaining processes, behind which management and especially the board of directors play an important role. Hence, we change and possibly invert the current predominant logic: While the state-of-the-art explains (or at least discusses) the DMO board composition as a consequence of the activities (expenses side), we argue that in order to increase and diversify funding (income side), DMOs, intentionally or not, recruit board members most likely to achieve this goal. In this spirit, those actors fulfill an additional, crucial function, which is to secure and to fortify the financial foundations of the organizations. Thus, the aim of this paper is to investigate the strength and degree of the connection between various DMO board functions and revenue sources. The figure below illustrates the change in perspective. While there may still be a reason to argue that DMO board composition and roles are a consequence of the activities of the DMO, in addition individual profiles on the board could also serve to generate or increase specific revenue sources. Both sides of the coin could supplement each other. The study is straightforward. First, we discuss the current literature with respect to (1) revenue sources of DMOs and (2) DMO board composition and function. For the empirical study with 44 DMOs in Switzerland, seven distinct revenue sources and four functions possibly affecting the existence and the strength of the revenue source are identified. Consequently, the analysis presents seven separate multiple regression models with the revenue source as the dependent variable and four functions as independent variables. A cross-case comparison of the models supports the discussion of the importance of the single functions and a critical appraisal of the current notions of DMO boards of directors. We have focused the research on non-profit DMOs which aim to market a destination (product development and service coordination, promotion, etc.). The selected DMOs work at a ‘meso’ level, that is for an area that comprises one or more municipalities or regions. Not included in the sample are the national tourist office and small local visitor boards with limited budgets. Financial management of DMOs is a crucial issue for DMO and destination success (Bornhorst, Ritchie, & Sheehan, 2010). Early contributions point to a picture with diversified revenue sources for DMOs that go beyond the traditional governmental subsidies (Sheehan & Ritchie, 1997). Pearce (1992), for example, suggests that destination management and promotion through DMOs needs a pooling of efforts to achieve economies of scale. Partnership marketing in DMOs, e.g. advertising campaigns, product development or distribution and sales platforms, is a rather old principle (Bieger, 1998 and Getz et al., 1998) but has recently gained importance as the traditional revenue sources such as overnight taxes and public subsidies have decreased. Partnership marketing or other partnership initiatives must be clearly separated from non-product development (or marketing) tasks. The latter ones could be financed by membership fees, overnight taxes or public subsidies and comprise for example running an information desk or maintaining tourist infrastructure in the place (e.g. hiking trails, ice rink). Public subsidies could also be used to finance public goods or services (Bonham & Mak, 1996) such as public relations or destination promotion. In contrast, partnership initiatives are voluntarily and often collectively funded platforms and involve specific activities with a limited number of beneficiaries and therefore – in order to avoid competition with their own members – separately funded. Thus, they are collected by one or more members mandating the DMO beyond the common tasks for its members (Getz et al., 1998). Over the last twenty years or so, DMOs have constantly experimented with additional services and products that can generate value beyond public subsidies or tourist taxes. They have also added commercial sources to the ‘revenue cocktail,’ such as events, commissions on reservations, package tours, merchandising, special counseling services to local businesses, and research studies (Bieger, 1996 and Getz et al., 1998). Fig. 1 Today, we distinguish seven basic revenue sources for DMOs according to their private or public character and the level at which they are collected (local or regional): (1) membership fees, (2) partnership platforms/initiatives, (3) commercial revenues, (4) overnight taxes, (5) regional and state subsidies, (6) municipal subsidies, and (7) tourism taxes. As illustrated in Fig. 2, the revenue sources can be arranged in a circle that distinguishes the contributing subjects, i.e. the participants (enterprises, including private and non-governmental organizations, the public sector, and visitors) and the financing mechanisms (transactions, voluntary contributions, political bargaining and negotiation, and legal constraint). Overnight taxes and tourism taxes clearly differ from each other. Whereas in the first case the tax paid by the tourist goes for tourist services in the place (direct source-related taxation), the tourism tax is levied upon the financial strength of the enterprises, often scaled with regard to the dependence on tourism. Assessment criteria for the tourism tax could be the yearly turnover, the total salary expenses of the enterprise, or, for particular company types, the number of beds in accommodation establishments or the number of seats in catering companies. Proposing an alternative, supplemental perspective. The revenue wheel of DMOs. Fig. 2 illustrates the various revenue sources, their participants and the revenue mechanisms. Consider that in some cases, public entities participate in membership fees and partnership platforms/initiatives as well. However, they do so in addition to the private sector and thus play a secondary role. For non-profit organizations ‘…obtaining competent and capable board members is vital because they can bring key resources, such as knowledge, skills, relationships, and money, that strengthen the organization’ (Brown, 2007, p. 302). As a matter of fact, board performance affects organizational (Forbes & Milliken, 1999) and financial performance (Zahra & Pearce, 1989). Consequently, board governance of DMOs is not only about a structure but also reflects a function (Lathrop, 2005), or in other words, DMO boards fulfill a variety of tasks as individuals and as a team. But while management literature discusses function as a collective effort, comprising the joint tasks of the whole council (Middleton, 1987), we propose assigning one or more functions to the single individuals first and then aggregating the functions to a larger picture that reflects the product of the joint capability. For this study, we intentionally avoid speaking of roles. In fact, roles of boards of directors address concrete tasks and duties, often also ascribed to an individual’s attitude and behavior. In contrast, functions relate more to the antecedent logic behind why an individual should have been recruited to the board in the first place. To date, only a few studies analyze the reasons why one would consider joining a DMO board (Ford et al., 2011 and Garnes and Grønhaug, 2011). Building on extant research in tourism and corresponding theories, we work with four operable functions attributable to individuals: (1) stakeholders, (2) public agents, (3) leaders, and (4) networkers. Generally speaking, boards enhance firms’ legitimacy in society (Pfeffer, 1973 and Provan, 1980). For DMOs as focal organizations in the destination, it is imperative to gain acceptance from the general public, because tourism draws on public resources. Board members in DMOs must balance the interests of various interest groups in the destination with financial and organizational constraints, securing a broad acceptance and trust among the actors in the place. Indeed, DMOs are supposed to serve the majority of stakeholders in the destination (Palmer and Bejou, 1995 and Pearce, 1992), as the economic system of the destination encompasses a great number of organizations in multiple types of networks (Tremblay, 1998). The associated consideration and inclusion of stakeholder representatives in the board may occur independently of the salience of the interest group (Clarkson, 1995), actually often due to moral obligations and for the sake of the whole community (Goodpaster, 1991). Hence, the current state-of-the-art proposes possibly involving most stakeholders in the destination not only for planning and development (Bramwell and Lane, 2000,Bramwell and Sharman, 1999, Jamal and Getz, 1995, Sautter and Leisen, 1999 and Sheehan and Ritchie, 2005), but also inside the board of directors of the DMO, suggesting that identifying and recruiting the ‘right mix’ of individuals ensures the organization’s success (Ford et al., 2011). As a consequence, one can assume that the stronger the representation of stakeholders in the DMO board, the greater the probability of various types of revenues, particularly of membership fees and of partnership platforms/initiatives and of taxations, that need broad acceptance and support such as the tourism tax. Public authorities are involved in destination management and play an important role (Hall, 2008). When DMO board member are asked whom they work for, empirical findings support the perception of the public sector as a distinct domain or interest group (Garnes & Grønhaug, 2011). Furthermore, there is clear evidence that the DMO is connected with and/or dependent on the public sector (Sheehan, Ritchie, & Hudson, 2007), up to the public sector’s intervening to substantially fund those organizations (Jenkins, 2000). Public agents, either as elected politicians or employed as public servants, represent a distinct group of stakeholders with particular interests and a strong bargaining power in the destination (Beritelli & Laesser, 2011). Having the power to directly affect public funding processes, for example by increasing state subsidies for tourism, they can fulfill their own distinct function in the board of the DMO. Thus, we can hypothesize that there is a link between representation of the public sector in the board and public revenue sources such as municipal and regional subsidies. This function is based on the perspective that the board reflects the power, i.e. the influence of the most salient actors. Building on the hegemony of a class, boards may be formed of an exclusive group of elite individuals (Davis et al., 2003, Johnson et al., 1996, Mills, 1956, Nichols, 1969 and Ratcliff, 1980). As these individuals directly control important resources and organizations in the destination, we must assume that they have a direct influence on the financial income, even for a non-profit organization such as a DMO. Interestingly, while power, leadership and influence through ownership in destination management have been extensively studied in the past (Beritelli and Laesser, 2011, Cheong and Miller, 2000, Marzano and Scott, 2009 and Ryan, 2002), the presence of powerful people on DMO boards due to their leadership position in the destination has been rather neglected and not empirically analyzed. Garnes and K. Grønhaug identify it as one of many assessments by the respondents: “As long as I am the local leader, it is set that I should represent our industry here” (Garnes & Grønhaug, 2011, p. 128). And Ford et al. (2011, p. 9) propose that “a non-profit board that has directors representing critical or key stakeholder groups will be more successful than one that is less representative”. Strong leaders on the DMO board of directors may increase the importance of company-related and entrepreneurial revenue sources such as partnership platforms and commercial income. In management literature, networkers constitute the experience and knowledge of the board of directors as well as the internationalization of boards (Van den Berghe & Levrau, 2004). Empirical findings on board composition stress the importance of outsiders for the overall success of the organization (Ibrahim and Angelidis, 1995, Jones and Goldberg, 1982 and Wagner et al., 2002). Particularly for non-profit organizations such as DMOs, we refer to the concept of board capital, complementing ‘…human capital (experience, expertise, reputation) and relational capital (network of ties to other firms and external contingencies'(Hillman & Dalziel, 2003, p. 383). Hence, as a working hypothesis, we could assume that depending on the type of network they are connected with, networkers on the DMO board could strengthen public or private revenue sources. Using the concepts presented above, we aim to answer one exploratory research question with this paper: Which of the four functions (stakeholder, public agent, leader, and networker) found in DMO boards of directors drives which of the seven basic revenue sources of the organizations (membership fees, partnership platforms/initiatives, commercial revenues, overnight taxes, regional and state subsidies, municipal subsidies, and tourism taxes)? Destination management organizations in Switzerland have a longtime tradition. In 1864, the first ever tourist office in the country was founded in St. Moritz. Since then, due to the rapid growth of tourism in the country, many tourist offices were created at the municipal level and later at the cantonal (i.e. state) level as well. In the beginning, the main tasks of tourist offices were to embellish the place (e.g. taking care of flower beds and trees along main streets, keep the squares clean and attractive), inform the visitors in the place (information desk), and fulfill public duties that were not regarded by the municipalities as their responsibility because they were primarily for tourists (e.g. maintaining hiking trails, ice halls). Later, particularly since the post-war period, the organizations added new tasks, such as place promotion, distribution and sale of bed capacities from the place and of tickets for transportation and events, merchandising, and most recently promotional and sales campaigns for join with partners as well. The latter task is additionally covered by larger DMOs, particularly at the cantonal level. (e.g. see Beritelli et al., 2009, Bieger and Laesser, 1998 and Müller et al., 1995). The organizations were understood as focal organizations that combine the interest and resources of their members and partners in order to achieve goals not reachable by the individual organizations and institutions. This was because meeting the goals was either too expensive for single organizations or was not sufficiently in the general public interest to be directly financed through public money (i.e. they supported only the tourism sector). This function of DMOs still holds today. In Switzerland, the DMOs are mostly associations but may also be cooperatives, limited liability or incorporated companies. Due to the ownership structure and fiscal reasons, independent of the legal form, all the DMOs are considered non-profit organizations subject to especially close scrutiny by the public, including publicly accessible yearly reports. The original revenue source was membership fees, and these are still important today. However, this source did not suffice in the early days, before and shortly after the World Wars, to cover the costs of delivering services and maintaining tourist infrastructure. Thus, many local tourist offices were additionally funded through overnight taxes paid by the visitors and – originally to cover the deficit risk – through municipal subsidies. The other revenue sources (partnership platforms/initiatives and tourism taxes, described in paragraph 2.1.) followed, as additional tasks and activities were added. Hence, the budget of a DMO is the result of the organization’s evolution, which reflects the shifting interests of members and stakeholders, the need to fulfill additional tasks and, consequently, (historical) opportunities seized and the realized intentions of its management and board of directors. Switzerland has a strongly federally structured administration and with federal sovereignty due to a direct democracy (i.e. both municipal and cantonal authorities have their own fiscal instruments and legislations) (Feld and Kirchgässner, 2000 and Fleiner, 2002). But in addition the country is a very heterogeneous territory from the perspective of the tourist industry. Alpine areas are traditionally oriented towards leisure tourism at high altitudes, particularly in winter. Lakesides and plains offer various options for year-round activities, while the big cities are well known not only for business tourism but also for their cultural attractions. The DMOs’ development in the territory has been as varied as the legal frameworks and the destinations and regions. Today, we can speak of the Swiss DMOs’ landscape as a living laboratory, in which peculiarities of various kinds occur, and in which with respect to the tasks and budget sizes we can no longer clearly differentiate between local and regional DMOs but rather between differently evolved and specialized organizations that more or less successfully achieve their stakeholders’ goals. Nonetheless, the main character of these organizations remains (i.e. focal organizations for the tourist business) and the usual revenue sources are ubiquitous; the latter are obviously due to the fact that successful examples from other destinations are often used as models for one’s own solution. We believe that Switzerland is well suited for our research aim exactly because of this variety of organizations stemming from different contexts but all in the same country (‘diversity in unity’). The Swiss DMO managers association counts 233 active members, including marketing managers and vice-directors. Thus, from an overall 150 professional DMOs in Switzerland (professional in a sense that they have a full time operational and active management body), we have selected a convenience sample of 44 local and regional ones, with different tasks and profiles, different budget sizes and various board compositions. Our sample can be considered as heterogeneous in character (see also Table 1 further down the paper). However, the selected DMOs all have the objective of marketing the destination, usually an area comprising one or more municipalities or regions. The data has been retrieved from the yearly reports of fiscal year 2011, either published on the internet or publicly accessible as a hard copy. In order to gain additional information on the single board members, we have researched various sources on the internet. To assess their connections with other companies (e.g. through interlocking directorships), we have additionally used the trade register portal www.moneyhouse.ch. The amount of the revenue sources has been directly read from the profit and loss statements. Not all the positions could be clearly assigned to any of the seven revenue sources. Non-assignable positions such as release of provisions, extraordinary financial income, etc. have been excluded from the analysis. However, these positions constituted a negligible factor, with only 1.6% of the total revenues for the case with the highest amount of non-assignable positions. To operationalize the functions described in paragraph 2.2., every individual’s profile has been analyzed. For individuals to count as stakeholders, they must represent a particular group (e.g. hotels, trade, agriculture) at least as secondary stakeholders, i.e. ‘who influence or affect, or are influenced or affected by, [the DMO] but they are not engaged in transactions with the organization and are not essential for its survival’ (Clarkson, 1995). If those individuals are important for the destination and for the DMO because they own, control, or manage a vital organization or institution for the destination’s survival, or if they are responsible for a critical element or subsystem of the destination’s network, they count as leaders. DMO board members who are either politicians or public servants, either for local or regional authorities, are regarded as public agents. Finally, if someone is connected with various other organizations and institutions, particularly but not exclusively outside the destination, through interlocking directorships, she is seen as a networker. The following are three illustrative examples: A farmer who is also a representative of the municipal council produces one point as stakeholder and one point as public agent. A hotel director who is also the mayor of the municipality in a DMO board where there is also the vice-president of the local hotel association produces one point as public agent and one point as leader, but no point as stakeholder for the hoteliers, a point already scored by the other individual. The president of the board of the destination’s ski area company who sits on the board of five other companies, of which four are located in other areas and in other industries, produces one point as stakeholder (ski area), one point as leader (president of the board), and one point as networker. Hence, every individual could have, depending on his personal profile and on the composition of the board he sits on, one or even more functions. For each board and function the points were summed, so that every board has one score for stakeholders, one for public agents, one for leaders, and one for networkers. The scores for the four functions could differ significantly from the number of the individuals in the board. For example, a board with seven members could score six points with stakeholders, two points with public agents, zero point with leaders, and three points with networkers. For every revenue source a multiple regression analysis was performed. The dependent variable was the revenue source, the independent variables the four functions. Calculating with relative values, e.g. the value of one function as a percentage of the value of all the functions or the value of one revenue source as a percentage of the value of all the revenue sources or as a percentage of the DMO’s budget would produce distorted data. In fact, the overall score of functions or the overall revenues are not the result of a comprehensive plan or strategy but simply the sum of different, independent aspects. DMO revenue sources come in through different mechanisms, possibly thanks to different individuals with different skills. Hence, we used absolute values for revenue sources and for the four functions. This allows considering the direct effect the function has on the revenue. In so doing, we reflect the fact that the greater the number of individuals with particular functions on the board of directors, the more a particular amount of revenue source might flow into the DMO. Despite the small sample, we consider this type of analysis appropriate, for three reasons (Bartlett, Kotrlik, & Higgins, 2001; Cochran, 1977; Salkind, 1997): First of all, our data are observations in nature and not a survey type of data. Second, and more important, our data essentially covers the entire or at least large parts of the relevant population which are less than 150. This would essentially demand a sample size below 50; as long as the number of observations is at least five per independent variable). And finally, our sample is quite heterogeneous in character. In conclusion, there is little concern for model overfitting, a phenomenon often occurring in small samples. The sample profile summarized in Table 1 and Table 2 shows how diverse the selected DMOs are. Revenue sources greatly differ in their importance. In addition, the number of directors on the board and particularly the importance of the four functions differ significantly. Nevertheless, all the organizations are located in the same country, characterized by a specific form of federalism and a common and more than centennial history of industrialization in tourism. Board size and functions (n=44). The table below presents the correlation between the independent variables and the tolerance values. While there is a weak correlation of leaders with public agents or with networkers, tolerance values greatly above 0.10 indicate that there is no collinearity (Hair, Black, Babin, & Anderson, 2010). To allow for cross-case comparison between the revenue sources, the regression models present the results considering all four independent variables. Table 2 displays the seven regression models all together. Due to the greatly different revenue sources, one would assume a rather differentiated picture. The working hypotheses in paragraph 2.2., derived from the literature review, point to a specific contribution to the revenues for every function. After all, there may be a benefit to all of the four functions. However, the results show a very clear and forthright picture. As a matter of fact, stakeholders and public agents do not play an important role in financing the DMO. On the contrary, for non-public revenue sources such as membership fees, partnership platforms, commercial revenues, and overnight taxes, they even play a negative role, i.e. the more directors on the board who represent stakeholders or the public sector, the less of those revenue sources. In contrast, leaders and networkers are likely to substantially increase (some coefficients >0.5) the amounts of six of the seven revenue sources. Consequently, it is neither by recruiting representatives of various stakeholder groups nor generally by public agents that DMOs could increase access to financial sources. It is rather through the involvement of individuals in leadership positions and through well-connected personalities that the DMOs acquire additional means of increasing their income. In contrast to the weak but significant positive correlation between the public agents and the leaders (Table 3), those two functions do jointly contribute to three revenue sources (partnership platforms, commercial revenues, and overnight taxes), but in opposite directions. Thus, while in the sample there is some probability of finding public agents who are simultaneously leaders (e.g. mayor, governor), the distinct functions point to the clear importance of being leaders and not of being public agents in generating revenues for the DMO (Table 4 and Table 5). Correlation list of independent variables and tolerances. Functions driving revenue sources, regression model results. Functions driving board size, regression model results. The results allow a differentiated discussion. Leaders clearly account for getting municipal subsidies. Hence, local, powerful actors may influence the political bargaining and negotiation process that leads to acquiring and maintaining or even increasing municipal support. In order to achieve regional or state subsidies, the actors must be primarily better connected because the play field in which they act is more complex and comprises a greater number of stakeholders and interests. Hence, networkers play a more important role in connecting the DMO with additional, external networks and in embedding the organization in a wider context, possibly increasing its importance in regional or state politics. For partnership platforms, commercial revenues, membership fees, and overnight taxes, the picture looks rather similar: a strong positive effect of leaders contrasts with a moderate but clearly negative effect of stakeholders and/or public agents. Here, leaders understand how to affect the revenue sources that are all basically built on voluntary contributions (membership fees, partnership platforms) or on entrepreneurial spirit and innovation (commercial revenues). At first glance, overnight taxes may not fit into the picture, because they are the result of a process that constitutes a local or regional law, just as for tourism taxes. However, overnight taxes may be adapted on a yearly basis. Most municipal and cantonal (i.e. state) laws do not necessarily prescribe the amount of the tax in the law but leave it open for flexible adaptation, as recorded in the regulatory statutes. Strong leadership on the board of directors may succeed in adapting the amount of the tax even on a mid-term horizon. 5.3. How about the stakeholders and public agents? What are the stakeholders and public agents for, if not for securing access to revenue sources? There is a tendency to argue for large DMO boards, particularly to achieve increased acceptance and group expertise (Ford et al., 2011). Thus, we may additionally ask whether stakeholders and pubic agents just enlarge the board, increasing its legitimacy and knowledge basis. An additional regression with the board size as the dependent variable and the four functions as independent variables reveals a further piece of the puzzle. Particularly stakeholders but also public agents are likely to increase the number of directors sitting on the board of the DMO. This result is in line with the literature referring to the function of the stakeholders. Thus, for the sake of general acceptance in the destination’s community and possibly in order to have more representatives from different interest groups, perhaps with more information, DMOs increase the number of directors on the board. This practice is in contrast with the involvement of leaders and networkers who could play an important role in generating revenues for the DMO. DMOs may face a dilemma with two contrasting approaches or practices: either to enlarge the board size through stakeholder representation or to selectively recruit leaders and networkers. Obviously, those functions cannot be clearly separated, because an individual may combine them all in one person. However, a board selecting new members can prioritize according to each case. As a consequence, we may hypothesize that DMO boards with numerous directors due to stakeholder representation may crowd out leaders and networkers from joining in and from effectively contributing to financing the DMO. While the correlations in Table 1 do not show such a negative trade-off because the functions have been added together, regardless of the personalities that may count for more than one of those functions, further research on why leaders join or do not join DMO boards could provide a definitive answer. The results also point indirectly to Palmer’s (1998) findings, in which he associated a “tight” governance style in DMOs with the organization’s effectiveness, but also to his implication that ‘…an association with a tight governance style may be better able to organize itself in such a way that it can acquire further resources’ (Palmer, 1998, p. 196). Obviously, smaller boards with fewer (non-influential) stakeholder representatives and with more leaders and networkers are likely to be better organized, due to a higher professionalism of the individuals but also due to the sheer smaller number of directors on the board. Further research is necessary to understanding how effectively DMO boards work as a team and how important is the single profile of the individuals with their expertise. Finally, the study supports a sort of opportunistic behavior of DMOs with regard to revenue and income maximization. In fact, budgets are the sum of different revenue sources. In times of increasing competition between destinations, decreasing public funding for tourism and additional pressure to join forces through cooperation, alliances and mergers among DMOs, access to additional stable revenues is becoming key. Intentionally or not, DMOs must get directors ‘on board’ who directly affect the organization’s income and ultimately its financial structure. Research on how DMO boards not only identify and implement strategies together with the management but also on how they regard revenue sources and on how the organization’s corporate governance deals with financial management issues will shed light on the complex mechanisms affecting this particular type of organization. The study has its limitations. First, corporate governance systems vary between countries and contexts (Morck & Steier, 2005). The results of this study in Switzerland may not be observable in other countries, particularly in those countries where the public sector fully controls or even incorporates DMOs into the government public administration. Second, there may be additional functions not considered in our study because they are difficult to operationalize, e.g. knowledge or commitment. Third, there may be a positive or synergetic effect among the revenue sources, possibly also due to the team effectiveness of the board. By performing a series of separate regressions, we have intentionally excluded these effects, which could be at the center of a different analysis. Further qualitative studies could delve into the processes and dynamics of how and why a board of directors decides to consider new and increased financial sources. To conclude, this paper tackles some rather well-known challenges such as financing DMOs and the “right mix” of boards of directors with the help of a new perspective. It does so by assigning directors specific functions affecting the organization’s revenue sources. The results allow questioning well-accepted ideas, such as the maximization of stakeholder group representatives, the inclusion of possibly all the interest groups in the destination and finally the basic belief that the DMO must in all respects – including the board of directors – reflect the complex system of the destination itself. Indeed, we argue that DMOs must function like (focal) organizations with specific tasks and with a distinct strategy and management, not like committees, where all the stakeholder groups meet in order to discuss the destination’s future development. With this hopefully thought-provoking argument, we hope to launch a new, differentiated discourse on the ‘real’ reason behind DMOs and their added value.